This year we are doing things slightly differently, we are selling fabulous one of a kind t-shirts in memory of Riley Austin who was one of the funds most avid supporters ! Please support us by buying a Smiley Riley t-shirt filled with past cycle tour photos – for R150 and cycle the Junior Cape Town Cycle Tour, wearing it in Riley’s memory. 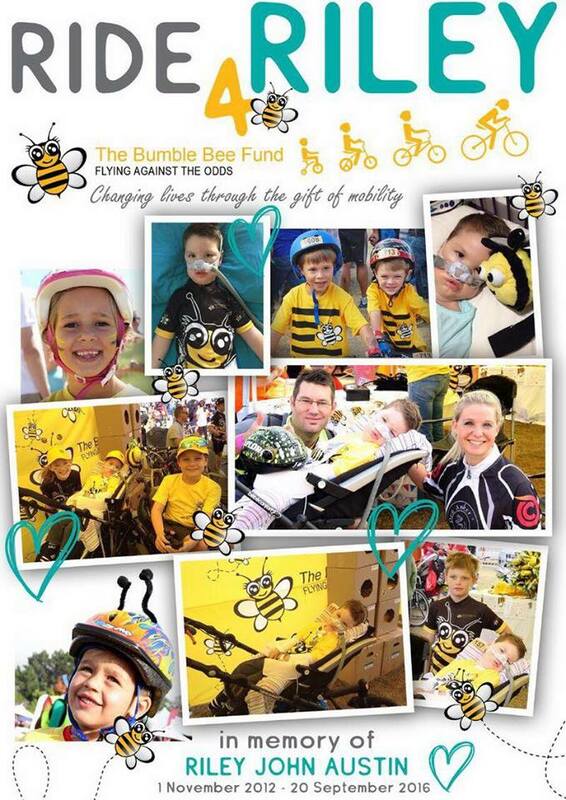 Email : admin@bumblebeefund.co.za to place an order !! !